Nineteen-year-old Lillian Bentham of New York had spent a year touring Europe with her godfather, other relatives, and friends. For the return trip to the US, the group boarded Titanic at Southampton. 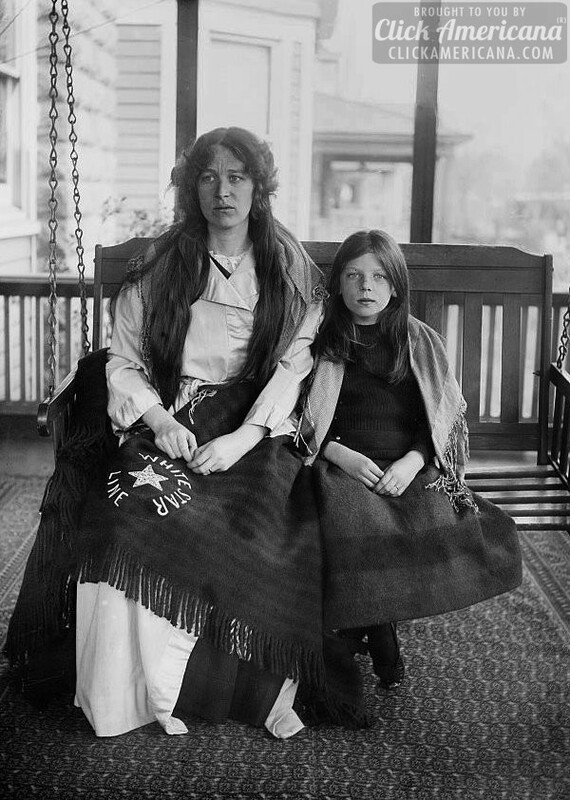 Lillian occupied a second-class cabin with Emily Rugg, age 22, from Guernsey, England. Emily was on her way to live in Wilmington, Delaware, where a relative owned a store. Emily was awakened by the collision and woke Lillian. The women made their way to the upper decks and were put into Lifeboat 12, along with 40 other women and children. When no other women or children were immediately available, a crowd of men from second and third class tried to board. The officers in charge refused to let the men on. As it was being lowered, a man leapt aboard as it passed B Deck. Later, No. 12 picked up passengers from the overturned collapsible boat B. Seven of the men they pulled aboard died of exposure. The man who received Lillian’s coat was Cecil Fitzpatrick, an Irish crewman from the Titanic. In gratitude, he later gave Lillian the whistle he’d blown all night in the hope of calling another boat to help. None of the men in Lillian’s traveling party survived, including her godfather. His widow met Lillian in New York City and helped her get to her parents’ home in Rochester, New York. She lived with them until she married, five years later. The couple remained in Rochester and did not have children. Lillian died in 1977 at age 85. Lillian's headstone bears her Titanic story and the names of her traveling companions. When the RMS Titanic sank in the Atlantic in 1912, over 1500 lives were lost. In addition to the men, women, and children who died, several animals also lost their lives. It’s not clear exactly how many live animals boarded the Titanic because they were not included in the passenger lists, even though they did not travel for free. Passengers had to pay roughly the price of a child’s ticket to bring their pet aboard. It’s believed the ship carried twelve dogs belonging to first and second class passengers, and several roosters and hens, most likely owned by steerage passengers who hoped they would help them start off their new lives on American farms. One canary also boarded the ship in Southampton, England, but disembarked with its owner in Cherbourg, France. A few dogs stayed in their owners’ cabins, while others were kept in kennels in the cargo area, along with the chickens. One pet belonged to the crew: Jenny the cat, whose job was to keep rats and mice at bay. Jenny had given birth to a litter of kittens prior to the ship’s first voyage out of Southampton. She was seen carrying each kitten, one by one, off the ship and into the city. A crew member who saw her decided Jenny knew something was about to happen and was protecting her family. He quit his post and left the ship before it sailed. When the Titanic struck an iceberg on the night of April 14th and began sinking fast, a crew member reportedly went below and opened the kennels so the dogs would have a chance to save themselves. But only three of the twelve dogs aboard survived: a Pekinese belonging to Henry Sleeper Harper of Harper Publishing, and two Pomeranians. They were all taken onto the lifeboats by their owners. A story surfaced not long after the sinking that First Officer William Murdoch’s black Newfoundland, Rigel, was seen swimming toward the rescue ship Carpathia and was adopted by the Carpathia crew. That story was never proven true. Murdoch perished in the disaster. A dog show had been planned for the day of the sinking, which would have featured all the dogs on board. Also lost that day were the chickens. The fate of Jenny the cat is unclear, but we hope she remained with her kittens and did not return to the ship. Is there something you would like to know about the Titanic? Leave a comment and I’ll try to have the answer here next week.